WordPress 3.9, codenamed ‘Smith’, dropped onto our servers this week with a heap of core improvements mostly based around editing content. Named after jazz organist Jimmy Smith, this latest version of WordPress has updated and polished a lot of UI features. Let’s take a tour. The visual editor (based on TinyMCE) has received a major rework both under the hood and in the front-end UI. The version of TinyMCE has been updated to v4.0 which bring it up-to-date with the current point release but still a bit behind the current version. You’ll also notice a new standard button for a horizontal rule has been added to the editor along with slight visual changes to the button icons. The library which handles file uploads, Plupload, has been updated to v2.1.1 and now allows you to drag an image/document directly onto the editor window. After the file has been uploaded you will be presented with the familiar media library window allowing you to choose the file’s attributes and insert into your post. Images can also be scaled and rotated within the editor without having to go back into the media library. The other big improvement to the visual editor is that galleries now render in the editor window, replacing the previous place holder box. It’s all aimed at bringing the editing process closer towards the final result. With the introduction of the native HTML5 player back in WordPress 3.6, audio and video bloggers will be excited to see the addition of playlists for both formats. They work as a shortcode (similar to galleries) and once files have been uploaded via the media manager, the interface then allows you to create a playlist and insert them into the post. Installing themes just became a lot easier with the new theme browser. There are new tabs for Featured, Popular, Latest and Feature Filter. The latter allowing you to drill through the themes using filters such as colours, layouts, features and subjects. It’s a great way to easily find and view new themes on WordPress.org. 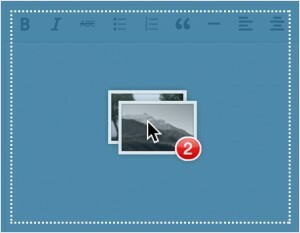 For those users who suffer from sidebar-overload-on-small-screens-syndrome, you’ll love the new widget interface. Of course the familiar drag and drop widget to sidebar still works, however, now when you click on a widget you get the option to send it directly to one of your sidebars from a drop-down list. Surely that’s better than scrolling up and down the screen trying to find where that sidebar is located. You’ll also see improvements to reordering, adding and removing widgets as well as live previews in the Theme Customizer. This functionality has been developed over the past few months as a plugin called Widget Customizer. Features as plugins is a fairly new and exciting approach to developing and contributing to the WordPress core. WordPress 3.9 incorporates a lot of library updates including four new ‘utility’ functions. Functions doing_action() and doing_filter() allow developers to test for hooks being processed and has_image_size() and remove_image_size() helps manipulate custom image sizes. You’ll want to read the entire list of new, updated and deprecated functions on the Codex and make sure your themes and plugins are up-to-date. As well as library updates, the database layer has also see a bit of attention with MySQLi now being used when PHP 5.5+ has been detected giving WordPress better compatibility with PHP 5.5 and MySQL 5.6. As WordPress continues to dominate as the CMS of choice for website development, 3.9 brings a well deserved level of refinement to the editing process as well as keeping the system up-to-date with current library versions. WordPress 3.9 is a smooth and well-oiled engine that will happily power any website, big or small. Want to see WordPress 3.9 in action? If you’re in Sydney next week then you’re in luck. We’ll be showing off WordPress 3.9’s new features at our April WordPress Sydney Central Meetup.